In any big city, there is a special energy that accompanies downtown living. Blount Street Commons in downtown Raleigh, North Carolina is no exception. This neighborhood is full of the character and heartbeat prevalent within large cities that are flourishing. Raleigh, North Carolina is a world class city surrounded by lakes and forests. It is home to metropolitan theatres, art museums, award winning medical facilities and fabulous shopping. It takes only two hours to drive from Raleigh to the Atlantic coast and vacation at Hilton Head Island or the Outer Banks of the North Carolina coast. Three hours of driving in the other direction will find the Blue Ridge Mountains and the famous Biltmore Estate. The Research Triangle Park, an employment hub of research centers and private corporations is close to major universities and educational centers by design. RTP includes the cities of Raleigh and Durham and is a major employment center for the Raleigh area. Within the central city of Raleigh is the campus of North Carolina State University. This is a vibrant, active and friendly municipality that welcomes the urban dweller with open arms. This neighborhood is in the center of Downtown Raleigh. 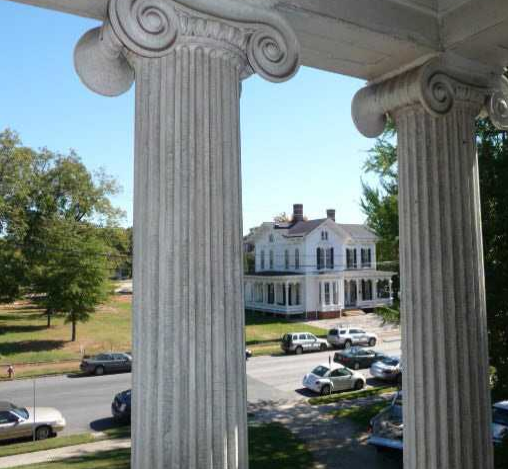 It is within walking distance of the State Buildings of North Carolina. There are over 140 restaurants, coffee shops and bars within its borders. An exciting entertainment district guarantees a fun night life for the adventurous and high energy resident. Blount Street Commons is a mixed used development combining luxury condominiums, historical detached single family homes and high end apartments with a business district. Downtown Raleigh is rich with culture and diversity. It is perfect for singles, grandparents and families with young children. North Carolina State University, Peace College and NC state office buildings are all within walking distance of Blount Street Commons. Available housing includes historical single family homes, row houses that are brand new construction, luxury condominiums and high end apartments. There are still a few infill home sites available within the Blount Street Commons Neighborhood. There is a home site ready for building listed at $195,000. The Merrimon-Wynne house, a Victorian Italianate built in 1875 is completely renovated and available for occupancy. Brand new row homes with private open spaces and garages start at $290,000. A resident of Blount Street Commons could actually spend weeks or months without driving. Downtown Raleigh is a major employment center thanks to North Carolina State University and the State of North Carolina. Additionally, there are many private employers and federal offices also in the area. Residents frequently walk or bicycle to work and buy groceries for dinner on the way home. Entertainment, fine dining and the arts district are all within walking distance of Blount Street Commons.